Purple Pore Punisher is a detoxifying, clean Pore-Tightening gel face mask that gently removes impurities for a softer, smoother and healthier complexion that glows. Pores beware! Purple Pore Punisher gel face mask works hard to detoxify the skin while gently removing impurities that often form because of daily stress and pollution. Are dead skin cells clogging your pores? No problem! This fragrance-free, detoxifying Pore-Tightening Mask is powerful enough to knock out the dirt and oil in your pores and help reduce the appearance of blackheads in just 15 minutes but gentle enough to restore hydration and help brighten skin’s complexion. You can feel the indulgent, iridescent, cruelty-free Pore-Tightening Mask work! The secret… mega-targeted, skin-nourishing, guilt-free natural ingredients like Charcoal (a natural, powerful magnet for toxins), soothing Witch Hazel Water and skin-plumping, hydra-boosting Glycerin. 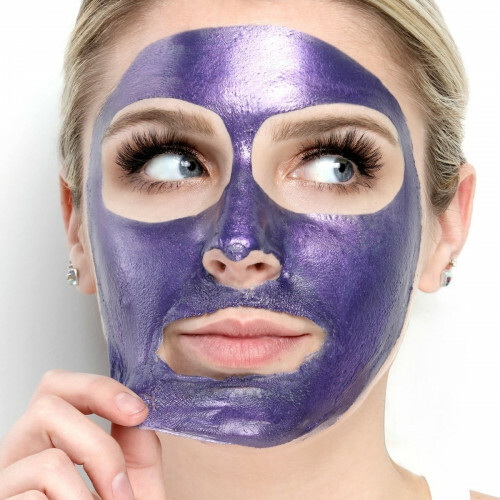 Yes, with the invigorating Purple Pore Punisher gel face mask, a softer, smoother and healthier-looking complexion can easily be yours... as soon as after the first application. Easy to remove. Safe for all skin types. Apply a thick, opaque and even layer to clean, dry skin. Avoid eye area, eyebrows, hairline and lips. Leave on for 15 minutes or until completely dry. Gently peel off mask from outer edges and rinse off any residue with warm water. Follow with Soak It Up Moisturizer mixed in with a shake of Shake & Boost. Use up to three times a week, as needed. Let completely dry. Gently peel off starting from outer edges to experience the full face peel off effect! This is my favorite mask of all time !! It is easy to appy and easy to pull off once it dries. It removes all that dead skin leaving your face smooth and soft without drying it out. Seriously, this is a MUST in your beauty routine. Love how this mask makes my skin feel afterward. Its a little thick and in my opinion, a little does NOT go a long way but I definitely am satisfied with my purchase! First off, let me say that I have pretty sensitive skin and pretty large pores from years of skin issues. So not many masks work for me. This is a very good mask if you are looking for something that tightens the skin and truly minimizes pores. I usually follow this mask up with a hydrating sheet mask and extra moisturizer. It goes on pretty opaque and you can thicken it to your desire. But even a thin layer will still peel off nicely. This stuff is Awesome!! Leaves you skin clean and soft. Love the feel afterwards but takes a lot of product for it to peel off easily. No pain with all the gain. First off, if you're looking for a peel off mask that isn't painful to remove, purges impurities, doesn't dry your skin out, and reduces pore size then look no further because Pur Purple Pore Punisher covers it all!! This mask cooled my skin when I first applied it, and when it dried and was time to remove it there was NO PAIN at all!! My pore sized was reduced dramatically, and the clarity and softness of my skin was completely drool worthy to say the least! Plus this mask moisturizes, and did not strip my skin of what was needed, it just took away what wasn't which is a feat in itself for a peel off mask. I'm giving this Purple Pore Punisher Peel off mask ⭐⭐⭐⭐⭐ across the board, and I highly recommend it. Love this left my face feeling wonderful! This mask makes my skin feel so soft afterwards! I use it 1-2 times a week and I’ve noticed a definite improvement! haven’t tried a peel off mask in a while so I was so amazed when I started peeling it off! Application was a bit hard trying to have an even layer because they do dry quickly. Formula is a mud yet has a bouncy gel feel to it. I love that it came in purple so you can easily see when some didn’t get peeled off. Over all, I enjoyed this from application, to dry time, to peeling it off ? I love the squeeze tube, the color and how fun it is to peel it off. I do recommend applying in sections and with a silicone applicator. My skin feels smooth and refreshed afterwards. I loved the way this applied to my skin! I saw a visible change in the size of the pores on my face, and my skin loved it too. I experienced no drying, had no reactions, and definitely have continued using it every week since trying it the first time. Love the color if this mask and the cathartic peel you get to remove it. My skin felt smooth and refreshed afterwards. I really love how this worked for my skin. It made my skin buttery soft and didn't cause me to have any breakouts! I used it in all my face, and I struggled to put it on, I think doing just the nose and maybe cheeks is best. First of all, I can’t go without saying how gorgeous this mask is. It helps that my favorite color is purple. The mask is perfect for any at home spa day. It makes your skin feel clean and refreshed. It even smells nice. The only down side is that you seem to have to use a lot in order to cover your face evenly, but you still get a good amount of uses! Getting a facial at the spa is a pampering yet can be costly for instant beautification. 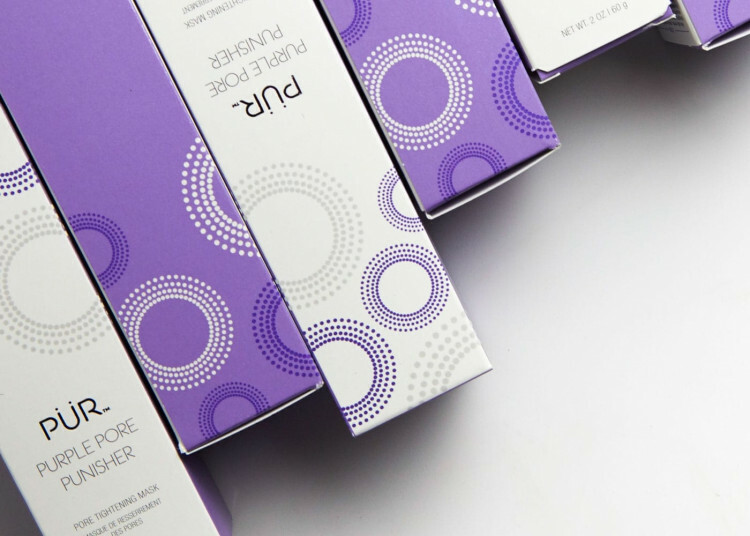 Since not everyone has the luxury of engaging in a pampering feat at the spa on a regular basis, you can experience the same high-end luxury experience at home with Purple Pore Punisher. True to name, this refreshingly unique facial mask helps extract impurities, toxins, and excess sebaceous oils that are lurking within the skin’s surface. With the constant weather change in the Midwest, my skin has been on the fritz lately! There are some days that it’s lackluster and dry, while other days it is out of control: oily and acne prone. Then, there are the days that my skin is seemingly flawless, with a blemish not in sight. This facial mask gives me instantaneous results each time I use it, leaving a noticeably natural and radiant glow. I have tried my fair share of remedies for pores as it has always been a problem area for me. Over the years some have come close but The Pore Punisher definitely has my vote. Not only can you see results but it leaves your skin feeling smooth which was a bonus for me. It did an amazing job of removing those stubborn black heads and really helped clear out my pores without causing irritation! I absolutely love how cooling it is once you let it sit on your face! It feels so relaxing and best when you peel it off! Super clean and refreshing ? This absolutely makes my skin feels softer and cleaner! This is not a pain in the a** to remove and it smells so good! I love that the main ingredient is charcoal which is good for the skin! 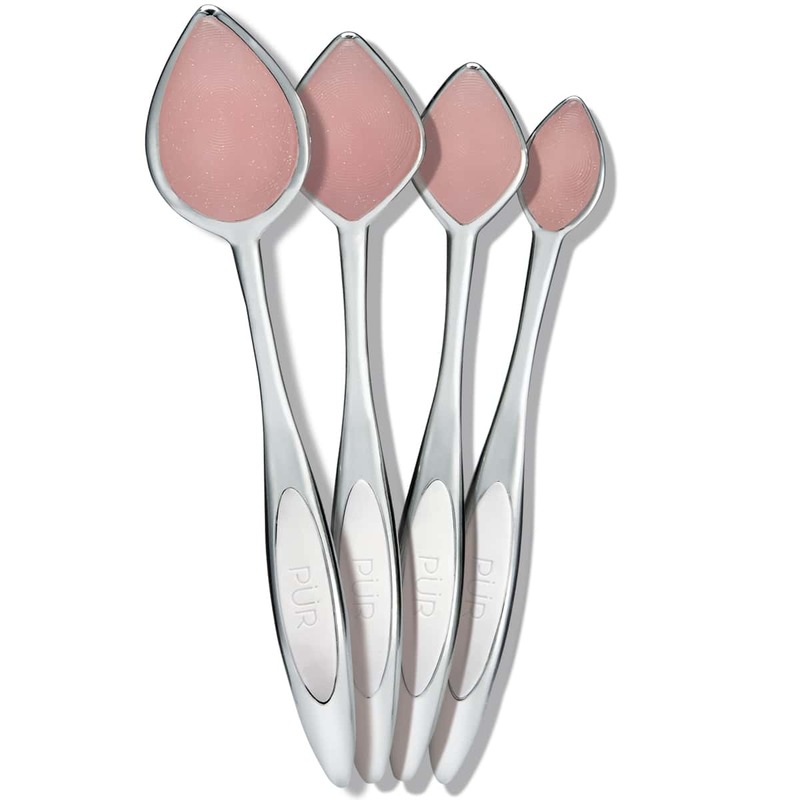 It was super cute, easy to use, comfortable to wear and did a great job at purifying my skin so I loved it! Purple Punisher Mask for the Win! I absolutely love this mask! I have super sensitive skin and was suprised at how gentle the mask was on my skin. It’s gentle but it lacks a serious punch! When I put this product on my face I could immediately feel tingling and knew that my pores were getting their butts kicked in a good way! The mask was so easy to take off and didn’t hurt one bit! ? Definitely a true pore punisher!! So easy to apply and works like a charm! I love that it’s very easy to pull off and you get zero pain when doing it. My face felt so amazing and soft right after. I definitely will continue using it for better results! Loved the way my skinb felt after! Mask was not harsh on face like other charcoal masks and left face feeling firm and smooth! I loved the peel off masks! The peel off was easy and I felt like my skin looked so good after! I really loved this mask ! It was a little messy to work with and you had to work some what at a fast pace . But it’s was fabulous ! The smell of it was fresh and not harsh ! I love how my skin felt so clean and soft right after moving the mask . Tried out the new Purple Pore Punisher a while ago, it was so pretty and felt great on the skin. Bless the Complexion Authority team for fixing everything up for me. I really needed it cause my skin was getting really congested and irritated, I started breaking out a lot. Thanks to the Witch Hazel in the formula, my skin felt a lot more soothed and calmer, and within a few days my skin cleared up a bit. I also love the colour of this mask, as well as the fine glitters in it creating and iridescent shift. I highly recommend this mask, it's so fun to peel off as well! One of my favorite masks! This mask is so gentle to peel off my skin I was extremely surprised! This invigorating mask left my skin feeling so soft and reduced the appearance of my pores. It contains charcoal, witch hazel water and glycerin. Together these three ingredients draw out impurities, detoxify the skin, reduce the appearance of pores and keep the skin hydrated. Not to mention this product looks and smells amazing and gives your skin such a refreshing tingle! It’s really did help my skin by making it smoother and glow more. I absolutely loved this mask. I could feel it really working to shrink my pores, but it didn’t strip my face of any moisture. It left me feeling baby soft! I live for the sensation when you first apply it and my skin felt so soft after! I loved it! It instantly made my pores feel much tighter! It also left my face feeling so smooth and hydrated.